Norman M. Loev's practice is concentrated in Estate Planning and Estate Administration. Mr. Loev has frequently been involved in discussion groups and has lectured on the tax aspects of estate planning and estate administration, the use of life insurance in estate planning and valuation of privately and publicly-held business interests. After beginning his career as an Estate and Gift Tax Examiner for the Internal Revenue Service from 1961 through 1966, he was a partner in two large Philadelphia law firms where he served as chairman of their Estate Planning Departments. 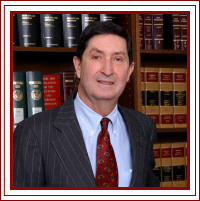 From 1966 through 1983, he was a partner at the law firm of Dilworth, Paxson, Kalish & Kauffman and from 1983 through 1998, he was a partner at the law firm of Reed Smith Shaw & McClay. During this period, Mr. Loev became a recognized expert in planning and administering estates for corporate executives, business and financial entrepreneurs, and real estate developers. He is known for his work in these fields and is often consulted by experts in the life insurance industry and banking and trust institutions. In 1998, Mr. Loev moved his office to Blue Bell, Pennsylvania where he continues to focus his practice in Estate Planning and Estate Administration matters. Mr. Loev is active in community affairs, having served on the boards and as counsel to various charitable organizations. Mr. Loev and his wife Nancy have three daughters and six grandchildren. He and his wife reside in Rydal, Montgomery County, Pennsylvania. He is an avid outdoors person and sailor. Dickinson School of Law, Carlisle, Pennsylvania, 1959, J.D.